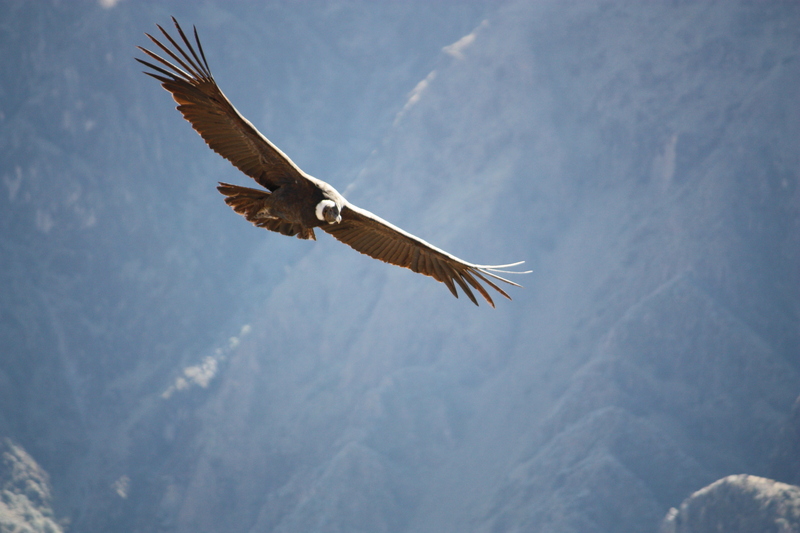 On our recent trip to Peru we visited the Colca Canyon. Peruvians are quick to point out that it is over twice as deep as the United States’ Grand Canyon. While we didn’t see the deepest point, our objective was primarily to see the Andean Condors and not a really deep hole. I am told that some of the physical impressiveness of the Grand Canyon is lacking because the sides of Colca are not as steep, but I’m sure it is nonetheless quite impressive if you can see the bottom. Where we were located, we couldn’t see the bottom because the canyon was relatively narrow – even though I believe they said it was little more than 1,000 meters deep at that point. 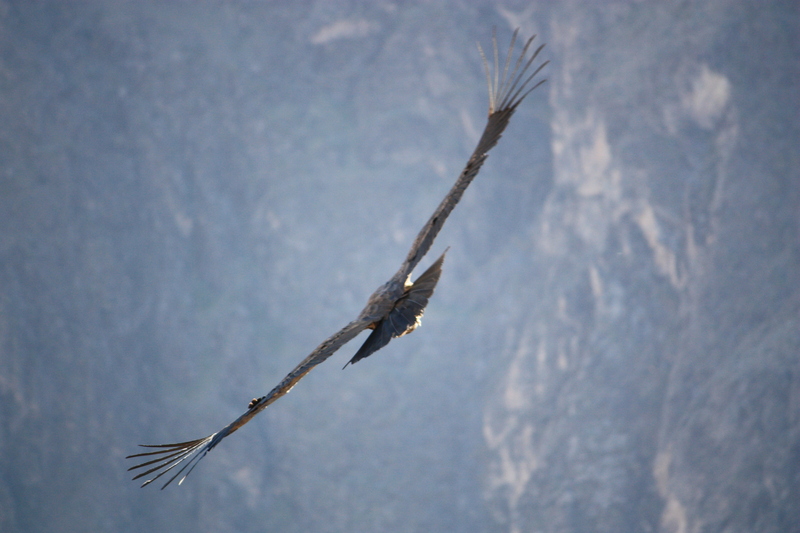 We did, however, see quite a number of Andean Condors. The Andean Condor is the largest raptor in the world. We saw condors of various ages. You can tell by the color of the bird’s plumage. Younger birds have a brownish plumage, while the older birds are black and white. We saw some of each, but there seemed to be more of the brown-winged birds. The Condors just ride the thermals so it is difficult to get shots that aren’t looking down on their backs because they seldom rise above the lip of the canyon. There is an upper and a lower vantage point at the “Cruz del Condor” stop. I got photos at each, but more “eye-level” shots from the higher vantage point. 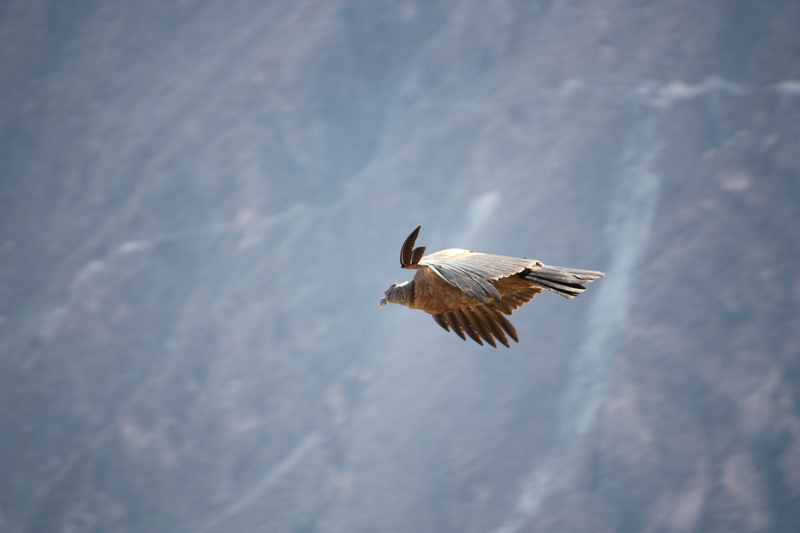 I highly recommend going to see the Condors, particularly if one is in Arequipa anyway.